Some spaces are tricky to divide. 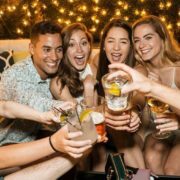 Sure, you could erect a temporary wall, as an expensive and inflexible solution to divide a commercial space, but lighting, fire codes and other concerns make this an undesirable option. 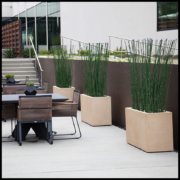 We have several beautiful solutions for dividing up large spaces in an elegant, natural way. 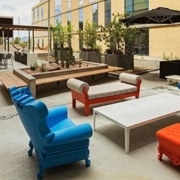 Bringing the outdoors into livable spaces has been an interior trend that has real staying power. 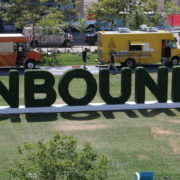 It’s organic and fresh and really encapsulates that easy-going woodsy vibe that truly engages customers. However, bringing real trunks and branches into indoor spaces can result in infestation, dirt and a fire hazard that is simply not ideal. 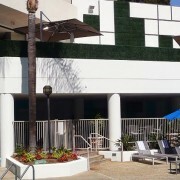 We’ve produced real solutions for decorative branches, tree branch screens and birch branches that are safe, visually appealing and work well inside or outside. Shop Natural Branches» for decoration and space delineation, or read on to learn more. 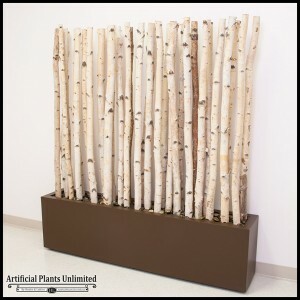 When needing to separate areas in a stylish way, these birch poles offer a flattering solution for breaking up large spaces without major construction work. 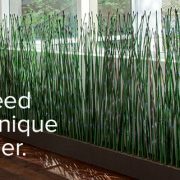 Available in 4 foot, 5 foot and 6-foot long segments, these 6-foot tall screens are indoor and outdoor safe, can be made to any size and are aesthetically pleasing. 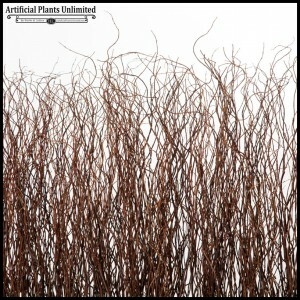 These tree branches for sale are commercially sized and ideal for decorative spaces in doctor’s offices or restaurants. 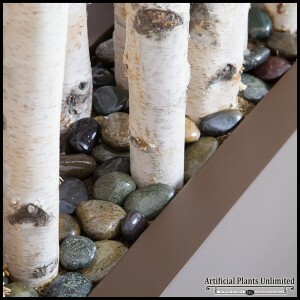 Each screen is constructed with real or life-like artificial birch in large, dark planters filled with beautiful river rocks. Available online in sizes 4 to 6 feet long and 6 feet high. Custom requests accepted. Another fantastic solution for corporate offices and commercial spaces that need to be divided into separate areas in an aesthetically pleasing way are our Curly Willow Screens. 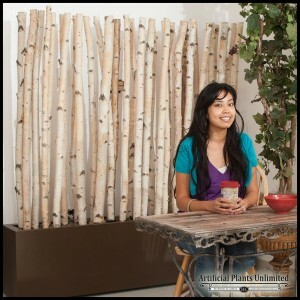 Skip the permanent wall in favor of these temporary dividers with earthy curly decorative branches in a large rectangular planked-style planter. Curly Willow Screens are 6 feet tall and available in 4 foot, 5 foot and 6-foot long segments. 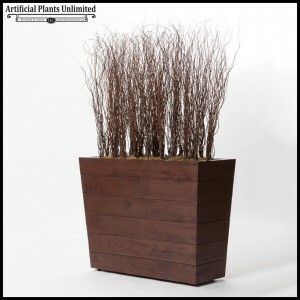 The beautiful dark stained wooden- style planters are available on casters for additional flexibility. This simple full coverage screen provides a beautiful way to conceal functional equipment while still creating a lovely atmosphere in your commercial space. Available in soft grey, dark coffee, natural tan and clean white, each of these 6-foot tall willow screens» provides privacy and texture. 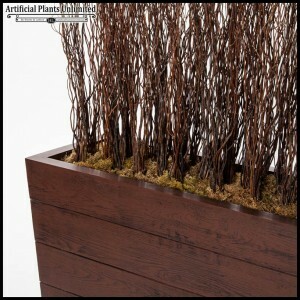 Add a simple low-profile planter to blend well into any decor. 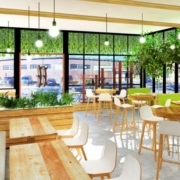 These decorative branches look lovely in spas, offices and waiting rooms. Turn your large commercial space into an intimate, beautiful space without major, expensive effort. 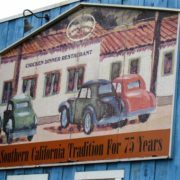 These three screens provide the natural, comfortable atmosphere you are looking for. Choose the screen that suits your design best, or contact us for a custom solution to fit your design needs. Having trouble finding your inspiration? 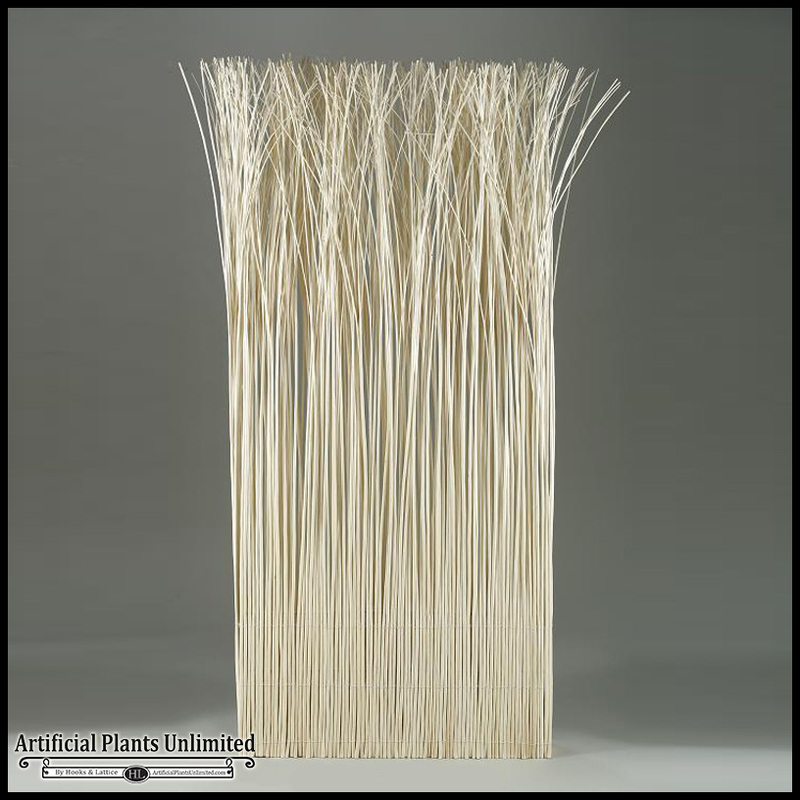 Artificial Plants Unlimited offers full service from concept to completion. Contact us today and let help you design a custom piece that’s the perfect for your space!